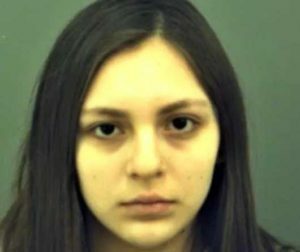 EL PASO, Texas — A Texas teenager has been arrested and charged with capital murder after her newborn baby was found in a storage shed with multiple stab wounds. Erica Gomez, 17, of El Paso was taken into custody on Friday following an investigation into the death of her newborn daughter. According to reports, Gomez gave birth at home on the morning on Feb. 9, and then wrapped the baby inside of a bathrobe and placed her in a neighbor’s storage shed. She walked away and went back to sleep in her bedroom. As she was sleeping, Gomez’ mother noticed that she was bleeding and took her to the hospital. Doctors determined that the teenager had a miscarriage. According to police documents, Gomez did not tell the hospital or her parents the truth that she had given birth because she was afraid. However, hours later, a teenage boy who lived next door found the deceased baby inside of the shed and brought the infant inside. The neighbors then called the police, who determined that the child had been dead for approximately 12 hours. Further investigation revealed that Gomez’ daughter had numerous stab wounds, nine in all, on her neck, back and side. The El Paso County Medical Examiner’s Office determined that the cause of death was homicidal violence. The teen was subsequently arrested on Friday and transported to the El Paso County Jail, where she remains on $800,000 bail. Gomez is facing a charge of capital murder. 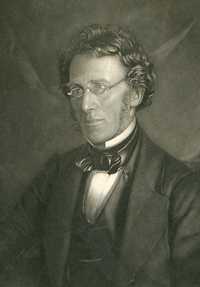 As previously reported, in an introductory lecture to his course on obstetrics in 1854, Philadelphia doctor Hugh Lennox Hodge lamented that even the mothers of his day were lacking of natural affection toward their own children and sought out means to kill them. “We can bear testimony that in some instances, the woman who has been well educated, who occupies high stations in society, whose influence over others is great, and whose character has not been impugned, will deliberately resort to any and every measure which may effectively destroy her unborn offspring,” Hodge sorrowed.